2017's Black History Month was centered around the theme of Black Action, and the intersection between blackness and social activism. Black History Month at New College was the brainchild of alumnus Nasib McIntosh ‘12 and sociology professor Queen Zabriskie. Three years later, the Black History Month planning committee has become a subsect of the College’s Black Student Union. The committee is made up of its co-founders and New College Student Alliance (NCSA) co-presidents and third-years Paul Loriston and Miles Iton, as well as a team of dedicated students who have been meeting weekly since the beginning of the school year. Zabriskie is now joined by other faculty sponsors, professor Brendan Goff, Counseling and Wellness Center counselor Duane Khan, and professors Wendy Sutherland and Amy Reid. This year, funding for Black History Month came from the $750,000 Andrew W. Mellon Grant, which was generously awarded to the College in support of the humanities program. This year’s Black History Month was centered around the theme of Black Action, and the intersection between blackness and social activism. The month began with an Arts and Crafts event Feb. 3, an informal social that challenged students to utilize posters, magazines and markers to create posters of self-expression. Following this was a Feb. 12 concert at the Bayfront featuring Sekajipo and the People, a regular performer at past Black History Month celebrations, that took place at College Hall. A black student and alumni connection event was also held Feb. 12 and served as a mixer for both black students as well as black faculty and alumni at Cook Hall. On Feb. 16, Reid invited Cameroonian writer Patrice Nganang to campus for a discussion on his recently published novel, “Mount Pleasant.” The Florida Studio Theatre provided 70 seats for students to watch a performance of the critically acclaimed “brownsville song (b-side for tray),” on Feb. 18 while graphic novelist Mildred Louis was invited to present at the African-American Read-in at Jane Bancroft Cook Library on Feb. 20. 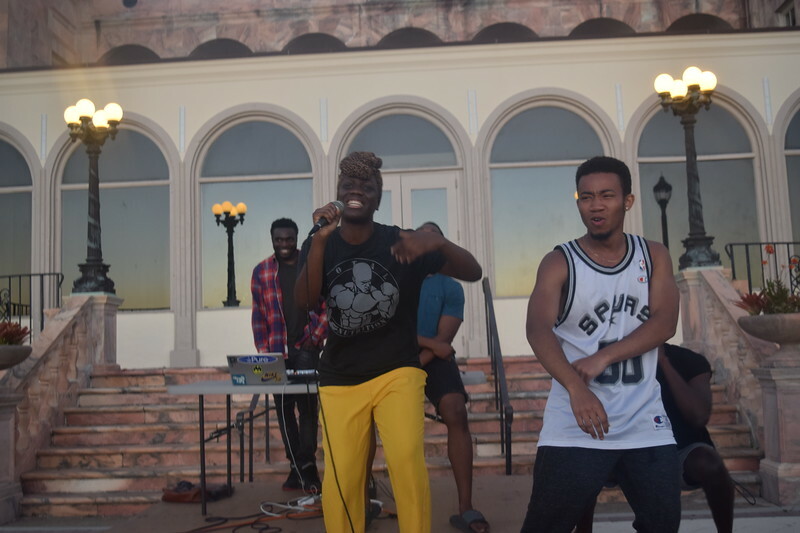 Miami-based artists Stephany Camacho and SDotBrady were both invited to perform at the highly anticipated Concert Sur la Bay at College Hall. With the activities coming to a close, the committee planned several events to extend Black History Month into March, which included a Def Jam Open Mic Night March 3 at the Four Winds Cafe, and the Symposium on Redefining Activism: Navigating Identity and Self-Care on March 4. Both events featured this year’s keynote speaker, Kavindu Ade, a spoken word poet, activist and educator who meditates on themes of blackness, queerness and social activism.